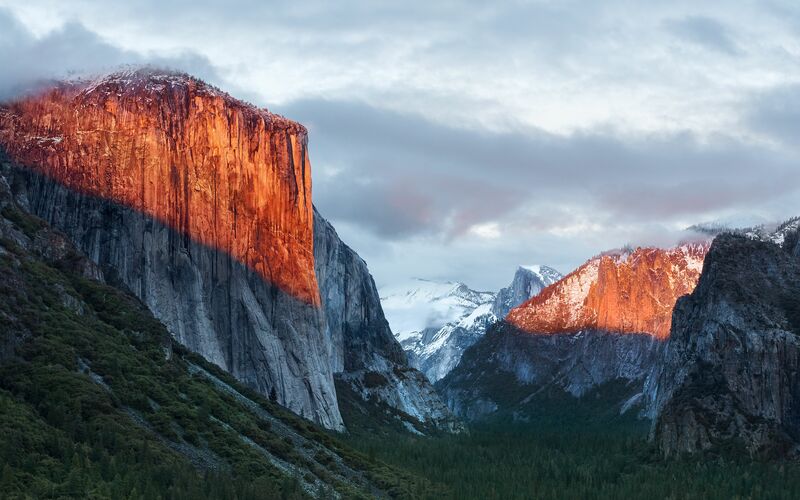 OS X El Capitan will be finalized and available for public use in the fall, but you don’t need to be wait until then or use the developer beta release if you just want to get your hands on the gorgeous wallpaper of the namesake granite monolith (and yes, that’s where the name El Capitan comes from, it’s a very large prominent mountain in Yosemite National Park). Apple also hosts a slightly less wide version, though the vertical resolution is the same, that can be downloaded from here at a 2136×1496 resolution for those interested. Both look great on the desktop of a Mac or PC, and work well on iOS devices as well. 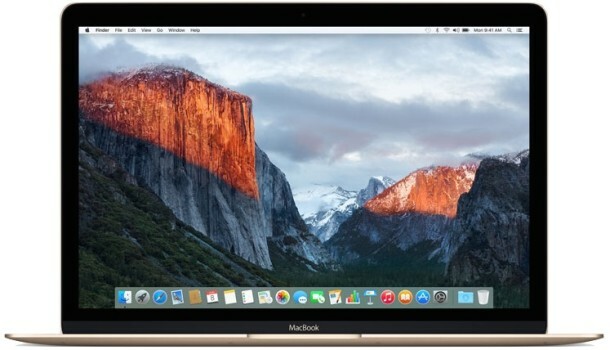 We’ll post the full resolution image from the developer beta shortly, which is around 5000×3000 pixels, but otherwise it’s the same picture as what Apple hosts on their website from the El Capitan preview page. And if you want that gorgeous colorful iOS 9 default wave wallpaper, here it is as well. If these images aren’t your thing, we’ve got many other great wallpapers to check out as well. This is Insane – Major OS changes way too often. None Good since Mountain Lion. It takes a year just to Get replacement Applications to do ones work Properly. This is not a New CAR Yea model. Horrible Text and Bland castrated Icons and Windows. P Minz, well this is just a wallpaper that you can put the picture on anything. But I get your point, but I think OS X El Capitan will be a big improvement to OS X Yosemite, which I agree that 10.10 is just not that good, but 10.11 is focused on quality so it will be a nice change. It will be the “Mountain Lion” to the “Lion” or the “Snow Leopard” to the “Leopard”, it’s aimed at fixing what they broke. Now, learning from our mistakes here, in the future with OS X 10.12, I would skip that for 10.13. LOL. Thank You for your Info – I most likely Try it on my Latest MacBook Pro which currently has Yosemite 10.3. I’ll wait to review it before putting on my other MacBook Pros. If you’ve ever climed Yosemite State Park’s El Capitan, you’ll find that the last “leg” is a perilous, cable holding (hope you don’t slip and fall) climb to the top. I just hope Apple will have gone through that part of their development before shipping. Jackson~ You’re confusing El Capitan with Half Dome. El Capitan is the big granite rock on the left side of the picture. There is no one “walking / hiking” up that. The only people making it to the top are doing it the hard way. Half Dome is the rock with the cable stayed path… Half Dome is snow clad on the middle right in the background. It’s pretty hard to complain when the upgrades are F R E E! I would expect complaints if you had paid for it but it’s just rude to gripe about an update no one forced you to apply especially when you didn’t have to pay for it. Get a life! Also available at 5120 x 3200. Not sure a “cold scene” is a good idea. To Me Yosemite and El Capitan Are just Big ugly rocks. Guess my Graphics background doesn’t not appreciate The Latest several OS & iOS Flat boring looks. Cats are smart and Rocks – Well inert objects. Ya got me there. Thanks! Good thing I’m just USING the amazing software the Apple designers create.